Every Year on September One, families of political prisoners killed in prisons gather at Khavaran to commemorate the memories of their loved ones. Mansoureh Behkish's six family members are buried in " Khavaran " Cemetery . 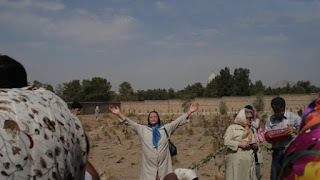 In an article she explained how on Friday morning at 8:00 am together with other families attended at Khavaran to lay flower on cemetery's land where hundreds of political prisoners including her family members are buried in shallow graves 27 years ago…. She added that; later the group attended at her home where her mother was waiting and continued their commemoration at home. Ali Shakuri-Rad Is Arrested After Press Conference …….. Recently A political party namely " Hezbe Etehade Islami " ( United Islamic Party ) was established and Ali Shakuri-Rad was elected as the general secretary . He is known for his activities as a reformist within the system and in the past acted and supported for Green movement . Most of the members of the United Islamic Party are supporters or reformist activists. Mr. Ali Shakuri-Rad in the conference spoke about harmonizing his party activities with the state. He was summoned a few hours after the conference to the prosecutors office and was arrested there. According to judiciary he is suspected of continuing his seditious activities against the state. 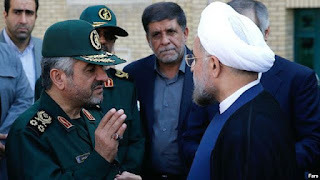 Islamic regime in Iran like the past regime of Shah both acted and acting against Iranian peoples will , and that is to have a parliamentary system with democratically elected parties . The regime of Shah Banned political parties and created just his own two parties ( Hezbe Irane Novin , and , Hezbe Mellat ), and Islamic regime also won't allow political party's to establish and have their activities started in Iran ……Even those reformists within the system ………. A Repressive Regime With Repressive Judiciary ! Bahareh Hedayat the Iranian student activist who was arrested after the green movement uprising, thought she will be released and in fact her release order was issued but four days after the introduction of article 134 her old two years suspended sentencing was implemented and regime's judiciary decided she must stay another two years in prison. 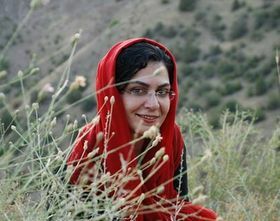 Bahareh Hedayat was arrested in 2006 in a gathering in "Hafte Tir "square and received a suspended sentence of two years imprisonment. Bahareh Hedayat together with Majid Tavakoli were two most prominent Iranian student activists who have spent years in prison including solitary confinement . Bahareh and her husband ( Amin Ahmadian ) lived only one year together when this all happened ……. 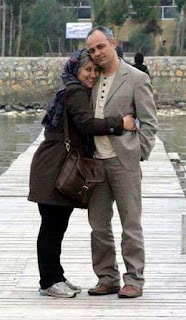 …..In a letter Bahareh wrote to her husband that , four days ago the prison officials called her to the office and showed her the release letter but they didn't release her , why she have to stay in prison for four days while her release order was issued……? Islamic Regime in Iran Executed Behrouz Alkhani A Kurdish Political Prisoner in Orumieh Prison …..
Behrouz Alkhani was a member of " Pejak " a Kurdish political organization . The Islamic regime executed him at 1:00 am Wednesday morning in Orumieh prison with 5 other prisoners whose charges were drug trafficking. The lifeless bodies of the five prisoners were given to their families but regime asked Alkhani's family in order to receive their son's body ,they must bring a letter from the court. 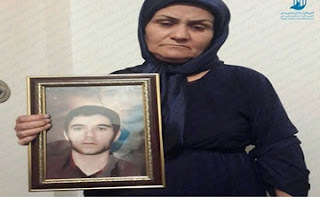 While regime was preparing Alkhani's execution ,his family members were gathered yesterday outside the prison demanding the regime to stop their son's execution until the result coming from appeal court. 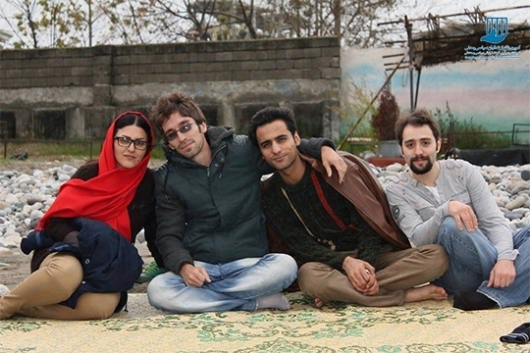 Islamic Regime In Iran Sentenced 4 Human Rights Activists To 24 Years Imprisonment …..
Arash Sadeghi , Golrokh Iraei , Naveed Kamran and Behnam Musivand were sentenced by branch number 15 of the Tehran court of revolution by presiding judge Salavati to a total of 24 years imprisonment. Naveed Kamran and Behnam Musivand both to 18 years imprisonment . For Gathering and conspiracy 7 years imprisonment ..
For Insulting to the founder of the Islamic Republic 3 years…. For propagating against the state / each one received 18 months imprisonment…. 33 Iranian Human Rights Organizations Calls For Justice on Mass Political Prisoners Killing by Islamic Regime in Iran 27 Years Ago…..
We Demand Justice on This Injustice ! The Killing Of Political Prisoners in 1987-88 Won't Be Forgotten ! Every year on September Iranian around the world commemorate the mass killing of political prisoners by Islamic Regime in Iran ……. 33 Iranian Human Rights organizations from around the world released a statement on the coming of the event which is called " the mass killing of the political prisoners" by Islamic regime in Iran and were buried hurriedly in shallow grave at night in a remote cemetery called Khavaran . It didn't go long before a few brave Iranian exposed this grave by removing the soil and finding prisoners buried with their cloths in shallow grave and taking photo and then exposing to the world to see. 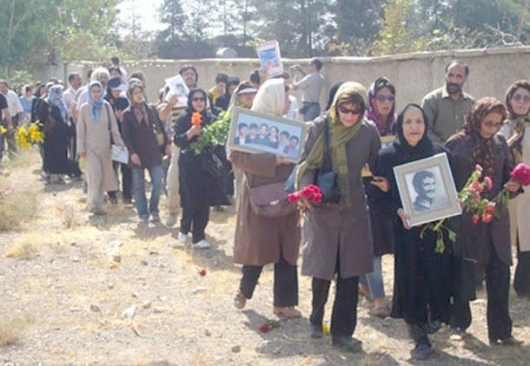 It was then when khavaran become known as one of the location regime buried its political prisoners in mass killing and by knowing this the parents of those killed in prison gathered there every year to console themselves by laying flower on the cemetery land for their loved one …. This file is still open after 27 years of Islamic reign against those officials responsible in the killing ….. The Guardian Council which is established to just observe the election is and in the past was mixing its obligation to execute the election . President Rohani in his recent speech attacked the Guardian Council for interfering on the execution of election which is the role of the Government. The influential members of the Guardian Council and its head ( Ayatollah Ahmad Janati) are known for their past radical positioning on various issues including the elections. On March next year the election for Parliament and the Assembly of Expert will take place in Iran and the divided Islamist's and rival groups including Conservatives and Reformists are preparing for controlling more seats. "Some people(?) tells us , you cant say what you want or act , and based on this idea , we must adjust ourselves with the enemies . " 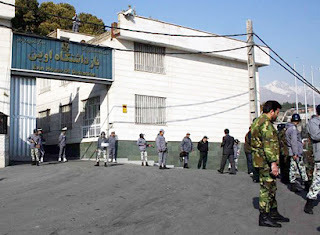 According to news the Evin prison chief has been changed . The former chief Rashidi gave its position to a new chief Mr. Yousefy . Yousefy has come from " Shahr Rey " ( Rey city ) , where radical Islamists or pro Ahmadinejad are holding more official position. However the political groups believe this change is an act of favor for Mehdi Hashemi the son of Hashemi Rafsanjani ( A moderate official) who was recently sentenced to imprisonment in Evin prison. But Iran Watch Canada Believe the situation of political prisoners will become harsher with this change. Bahareh Hedayat is a student activist who joined the green movement in the uprising of 2009 against Coup d, ta by Ahmadinejad and Khamenei. GENEVA (14 August 2015) – United Nations human rights experts today urged the Iranian Government to immediately release the Washington Post ’s correspondent in Tehran, Jason Rezaian, who now awaits verdict after his fourth and possible final hearing earlier this week. Iranian authorities detained Mr. Rezaian and his wife, Yeganeh Salehi, over a year ago, though she was subsequently released. In secret proceedings, he has reportedly been accused of espionage, collaboration with hostile governments, gathering classified information and disseminating propaganda against the Islamic Republic of Iran . Mr. Rezaian’s trial has been held closed to the public and even his close relatives. He has had no opportunity to present witnesses or evidence in his defense, or to examine and challenge witnesses and evidence against him. Mr. Rezaian has also been deprived of his right to consular visitation. The UN Special Rapporteur on the situation of human rights in Iran, Ahmed Shaheed, reminded the Iranian Government of its responsibility to ensure that journalists do not face prosecution for exercising their professional activities. “Mr. Rezaian’s case is part of a broader crackdown on freedom of expression in Iran. Journalists must be protected, not harassed, detained or prosecuted,” he stressed. The UN experts noted that Mr. Rezaian, who is being held at Evin Prison in Tehran, was placed in solitary confinement for five months and subjected to full-day interrogation sessions that caused significant physical and psychological strain. The conditions at Evin Prison have resulted in Rezaian’s dramatic weight loss, respiratory problems, and chronic infections. “He has suffered unlawful treatment during his year-long incarceration,” Mr. Hong highlighted. “We urge the Iranian Government to release Mr. Rezaian as well as all those exercising their rights to expression who have been arbitrarily arrested, detained and prosecuted,” the human rights experts said. As a result of that letter and her YouTube posting, Farghadani was returned to prison in January, 2015. In May, she was tried and found guilty of “insulting members of parliament through paintings” and “insulting the Iranian supreme leader.” Atena Farghadani wassentenced to 12 years, nine months in prison. This statement was originally published on freemedia.at on 13 August 2015. In 2009, Iranian-Canadian journalist Maziar Bahari was arrested without charge in Tehran and jailed in Iran's notorious Evin Prison. He endured psychological and physical torture, solitary confinement and daily interrogations. Finally, he was forced to make a televised – and excruciatingly humiliating – false confession. 118 days later, and just two days before the birth of his daughter, he was finally released. But Bahari was lucky. As a Canadian citizen and a Newsweek reporter, he caught the world's attention. Prominent figures, including U.S. Secretary of State Hillary Clinton, called on the Iranian government to release him. His case was not the first in which a journalist in Iran was imprisoned on espionage charges, and unfortunately, it was also not the last. Dozens of Iranian journalists, bloggers, and human rights, social and political activists unknown to the outside world still languish in Iranian prisons. But now Bahari is using his own freedom to shine a light on the plight of journalists imprisoned in Iran who do not have the world behind them. In June of this year, Bahari launched the campaign “Journalism is not a Crime,” which aims to document ongoing human rights abuses against journalists and raise awareness of the deteriorating press freedom situation in Iran. The site hosts a collection of projects that, among other things, tell the history of journalism in Iran, investigate PTSD among Iranian journalists, address Iranian breaches of freedom of expression and examine the forced confessions of prisoners. The campaign also provides legal and psychological assistance to Iranian journalists before, during and after their arrest, produces original multimedia programs and organizes events with various organizations around the world. Today, the iniquitous imprisonment of another Western journalist in Iran is making headlines. Washington Post Tehran bureau chief Jason Rezaian, an Iranian-American, is currently on trial for espionage and could face up to 20 years in prison if convicted. Just like Bahari, Rezaian is being held in Evin Prison, where he has been imprisoned since July 2014. However, Rezaian is expected to receive a final verdict in his case within a week, after a fourth, and possibly final hearing was held in Tehran on Monday. The International Press Institute (IPI) is monitoring his trial, which resumed behind closed doors in June. After three hearings so far, Rezaian's lawyer said on July 20 that court officials told her the next hearing would “almost certainly” be the last. While Rezaian holds both U.S. and Iranian citizenship, the Iranian government only recognizes his Iranian nationality. Rezaian is one of at least three American citizens currently imprisoned in Iran. However, the exact number of Iranian political prisoners is unknown. Rezaian's case is also remarkably similar to that of another Iranian-American journalist, Roxana Saberi, who was arrested on January 31, 2009, and held for 100 days in Evin Prison. Saberi, who had been writing a book on Iran at the time of her arrest, was sentenced to eight years in prison for espionage. 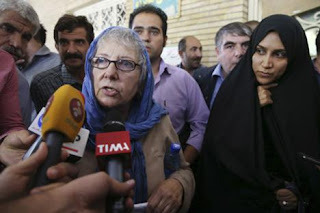 However, an Iranian court overturned her sentence and she was finally released in May 2009. The most significant commonality among Bahari, Saberi and Rezaian is that they all hold dual citizenship in a Western country and all three were working for Western news outlets at the time of their arrests. They were aided by international campaigns pushing for their release and supported by human rights groups and powerful political figures. A lot of the prisoners who don't have anybody speaking out for them stay there [in jail] for years and years. Hillary Clinton called for the release of both Bahari and Saberi. U.S. President Barack Obama has urged Iran to release Rezaian. 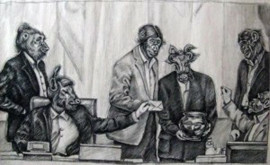 The high-profile nature of these cases created public awareness. And if there is public awareness, there is an opportunity to take action. However, it appears the West only cares about the West. The Western public only hears about cases involving Iranian journalists who are also Westerners, while dozens of locals are simply forgotten or overlooked. “A lot of the prisoners who don't have anybody speaking out for them stay there for years and years,” said Saberi. A 'Wall of Shame' exists on the Journalism is not a Crime website, which aims to compile a comprehensive list of all the journalists who have been jailed in Iran, not just the foreign ones, and provide biographies of them. The site also tracks journalists awaiting trial, those with a suspended sentence or those who have been released or killed. And that is exactly what these imprisoned Iranian journalists need: international attention, support from powerful world actors and campaigns for their release. “For those Iranians who don't have the same coverage outside the country, I think it's really important to raise awareness among the public about the situation inside Iran,” Saberi told IPI. IPI is undertaking its own efforts to promote press freedom in Iran, including its ongoing push for Jason Rezaian's release. IPI also named award-winning Iranian journalist Mashallah Shamsolvaezin its 2014 World Press Freedom Hero. 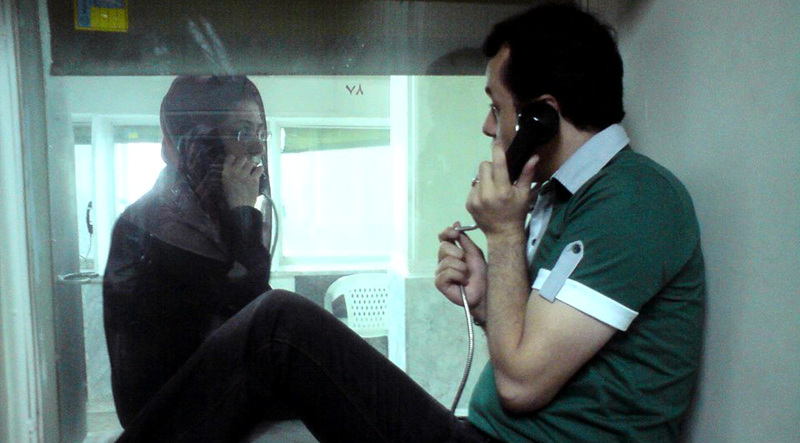 Shamsolvaezin was jailed numerous times for his criticisms of Iranian government policies. From 2000 to 2001, he was held for 17 months in Evin Prison for an article he wrote criticizing capital punishment. Maziar Bahari gained support for his release on an international scale. Roxana Saberi also had an army of supporters campaigning for her freedom. And now, Jason Rezaian is receiving a global push for his long-deserved release as well. But by only focusing on cases involving Western journalists, we are only paying attention to a part, not the whole. The majority of imprisoned journalists in Iran are local journalists – and they are being overlooked. The world must campaign for the freedom of all journalists, bloggers and social media activists imprisoned in Iran. The United Nations, foreign governments and influential political figures need to come together and pressure Iran toward lasting change. “It's just a combination of efforts that helps keep the stories of those journalists in jail alive,” said Saberi. And that is exactly why Bahari's Journalism is not a Crime campaign is so significant. We don't just see a name on a list; we see a story behind it. Moreover, the site's primary language is Persian, so it is not linguistically exclusive to English, unlike most campaigns. Social media is also a powerful tool to make communities aware of an issue and encourage those communities to then come together with an idea and instigate change. Through social media, the public can make its own noise and pressure governments. “As a journalist, we want to see other journalists to be freed. We don't want them to be punished for peacefully using the right to freedom of speech or freedom of the press and that should be the case for journalists all over the world, whether it's Iran, or Europe or America or wherever,” said Saberi. The imprisonment of these journalists, these people, deserves the world's condemnation – and nothing less. Natalie Rowthorn is pursuing a journalism degree at Indiana University with a focus in international relations. 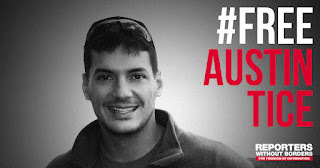 Today, August 13th, is the third anniversary of the kidnapping of American journalist Austin Tice in Syria. Two days ago, Austin turned 34. Credible sources indicate Austin is alive, and we know that there has been significant and meaningful progress on securing his safe return. We work everyday to bring him home. Join his family and loved ones in the campaign for his release! Become a member of RSF, the largest press freedom organization in the world, and support our campaigns. On behalf of Austin and the Tice family, we thank you very much for your support! Death sentence of Iranian doctor "absolute outrage"
The death sentence of an alternative medicine doctor in Iran has been called an "absolute outrage" by the UN High Commissioner for Human Rights (OHCHR). 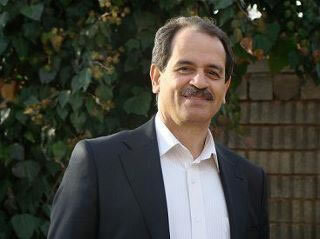 Mohammad Ali Taheri, the founder of a spiritual movement and practitioner of alternative medicine, was charged by the Revolutionary Court for the crime of "corruption on earth". 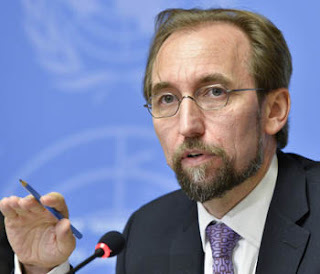 High Commissioner Zeid Ra'ad Al Hussein said the death penalty for peacefully exercising freedom of expression and religion is a clear violation of international human rights law. He called on Iran to immediately withdraw the charges and ensure Mr Taheri's unconditional release. Daniel Johnson has been speaking to OHCHR spokesperson Ravina Shamdasani. The latest news is that, Mr. Mohammad Ali Taheri's lawyer, Mr. Alizadeh Tabatabaei on Tuesday rejected the rumors about Mr. Taheri's death and said, his health condition is okay and hope the Superior court will quash the death sentence against his client. 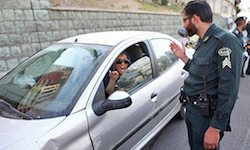 According to a report , the judiciary-cultural commission of the Islamic regime's parliament in Iran has voted for a law which prevent women to remove their hijab when driving outside their house -in the streets and if found will receive fine from 100,000 Tuman up to removal of their car from the street for 72 hours . furthermore, if the government employees are found inside their car without hijab , 1/3rd of their salary will be reduced and will receive a notification and if continued will face bitter punishments .
" Meli Mazhabi " Women in A Letter to M. Sadegh Larijani the Head of Judiciary Demanded For The Release Of Narges Mohammadi the Vice President of The Association of Iran Human Rights Defenders ! Meli Mazhabi Women Warned The Judiciary About Narges Mohammadi's Deteriorating Health Condition inside Prison! According to news the women members of " Meli Mazhabi " Party ( A Islamic reformist Party) in a letter to M. Sadegh Larijani the head of Islamic regime judiciary in Iran demanded for immediate release of Ms. Narges Mohammadi the vice president of the association of Iran Human Rights Defenders who is currently in prison . 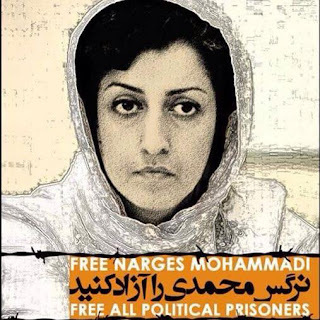 Ms. Narges Mohammadi is a mom with two small children and is suffering from a lung and muscle disease which can end her to become paralyzed if kept inside the prison . 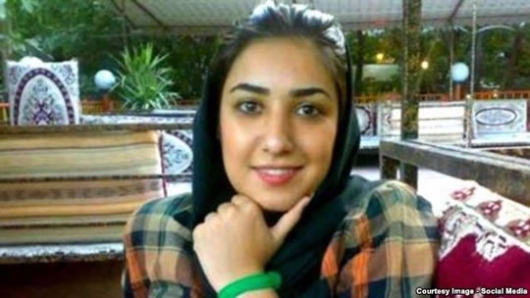 According to reports, three years ago while in prison , the clinical doctor inside the prison believed that; Ms. Mohammadi must be released for medical treatment for the above sufferings. According to a report by ISNA news agency, yesterday morning the sentencing of another member of the armed robberies from bank in the city of Mashhad was carried out. 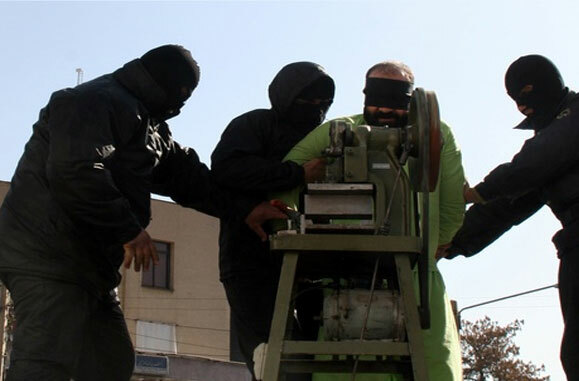 according to ISNA , a person " Mehdi -R " who was arrested and had several arm robberies from banks was sentenced by division number 2 of the Islamic court to " cutting right hand's fingers and part of left foot and the execution of the sentence was carried out with the presence of the judiciary officials . Recently Islamic Regime in Iran released few prominent political prisoners including Ahmad Zeidabadi the reformist journalist .......He spent his six years imprisonment sentence and after release was sent to internal exile but the exile was later cancelled. 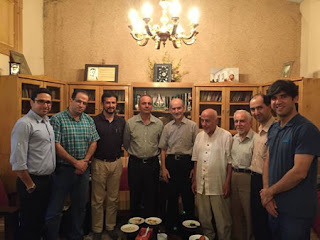 So , after return from exile the members of " Nehzat Azadi Party" visited him at his home including Mr. Hashem Sabaghian and Mr. Mohammad Tavasoli who have told him to write book about his prison experience for the future generation . 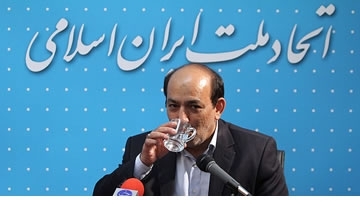 Ahmad Zaidabadi was arrested with thousands other after 2009 presidential election cheating by Ahmadinejad and was sentenced to six year imprisonment.